UPDATE 11:55PM—The victim's stolen vehicle was found parked late Tuesday morning in the Wicker Park neighborhood. A man was jumped and robbed of his phone, computer, and car Tuesday morning in the Lakeview neighborhood. Police are trying to determine if the incident is related to a similar robbery that was reported about an hour earlier in West Town. 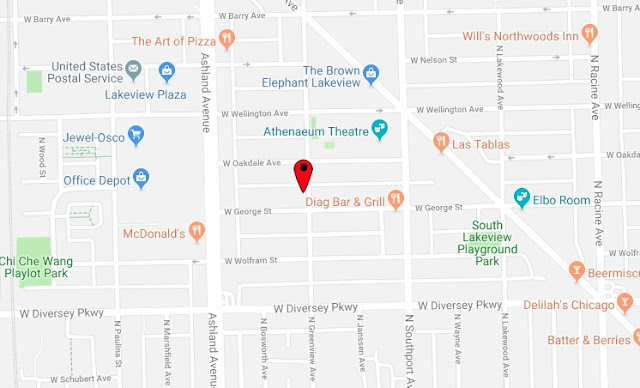 The Lakeview victim was walking in the 2900 block of North Greenview around 5:40 a.m. when two offenders emerged from a small vehicle, approached him with a handgun and announced a robbery. The man turned over his phone, wallet and car keys to the robbers who then used his keys to steal his red Buick Encore SUV and a laptop that was inside, police said. Police said the vehicle, bearing a license plate that begins with AG69, was last known to be heading east on the Kennedy Expressway around 6 a.m. According to the victim, the offenders were a Hispanic man and black man with dreadlocks. A robbery with some similarities to the Lakeview incident was reported at 4:30 a.m. in the West Town neighborhood, according to Chicago police. In that case, a 34-year-old man was walking in the 2200 block of West Ohio when four or five Hispanic men approached him. One offender pulled out a handgun with an extended magazine and announced a robbery. The group took the victim’s phone, wallet, and car keys and then used the keys to drive away with the man’s silver 2014 Toyota Camry, police said.